We enjoy working with a wide variety of patients, from the desk jockey to Urban Athlete. Every person is a unique puzzle with their own needs and desires. I want to give a strong recommendation for Mark Lusk. As a Physical Therapist myself I was very selective in finding the best of the best. The very best is Mark Lusk. I was told I needed hip surgery and that I only had a 30% chance of Physical Therapy being successful without the surgery. I decided to give it my all..which included traveling to Mark for PT for more than an hour each way- which let me tell you is worth it!! Within a handful of sessions I knew I was already on the road to a 'surgery-free' recovery. Within a few months I was back at the gym. I have since made a complete recovery! I could have only done this with Mark. Mark has so much more to offer than the average Physical Therapist. He spends the time with you direct 1:1 treatment with so much passion for what he does and so much compassion as well. Mark is an athlete and a dancer himself so he also gets what it means to be active and athletic. He has vast experience working as a physical therapist on over 60 Broadway shows! He not only is certified in many more manual techniques than the average physical therapists but is also comfortable and confident enough with these techniques that he actually instructs courses in these subjects. Mark has many different "tools in his toolbox" and has what to offer to everyone. His treatments are custom fit for the patient and directly address the relevant problems. I could go on and on but let me not waste your time.. just schedule your appointment. You will not regret it because let me tell you...no other Physical Therapist in all of Manhattan can help you in the way Mark Lusk can. Mark Lusk worked with me as I recovered from a severed long biceps tendon, reattached after surgery. As always, Mark is an acute and dedicated listener. And he certainly knows his physical therapy. He was always, always more than willing to explain the hows and whys of an exercise, and how it would impact, strengthen the particular part of the body, in my case, my shoulder and arm. Mark is thorough, consistent, attentive, responsive and wonderfully caring and considerate. I can easily run out of superlatives for all he does, from intake to - sniff - wrap-up. I was diagnosed with a chronic ankle condition last year and was told by a surgeon that only surgery could solve my problem. I had been walking around with intermittent pain for over two years that frequently made it impossible for me to be mobile. After receiving therapy from Mark and doing the exercises he gave me his homework I am now, after three months, able to walk anywhere, any time, for as long as I want without pain. 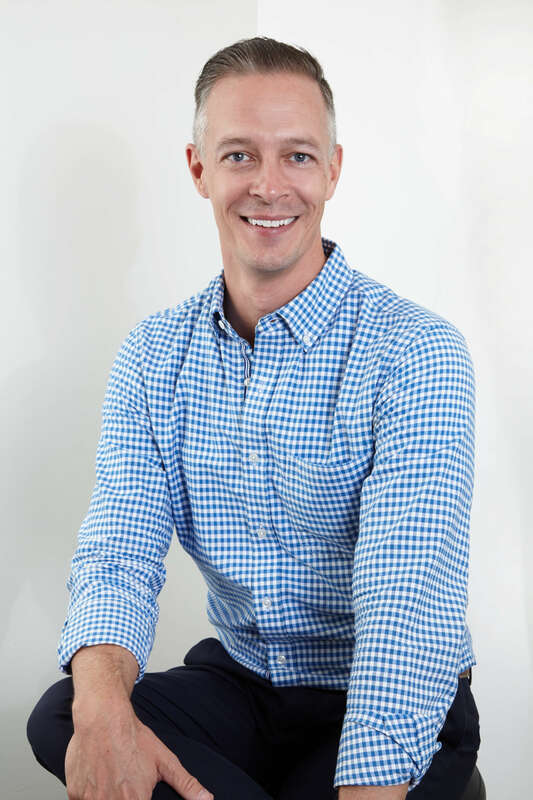 Mark is passionate about his work, highly knowledgeable about the human body, and whole heartedly committed to the overall health of his clients. He is also very persistent about finding a solution. I highly recommend Mark to anybody who is thinking of going for physical therapy. I had a very good outcome under Mark Lusk's care at MVMT Physical therapy. I highly recommend him. Extraordinary. Mark's service, attention to detail, kindess, and true expertise are such special gem. I have learned to walk TWICE after two different spine surgeries (one laminectomy and one cervical fusion), all because of Mark! I have completely resumed my normal active lifestyle and am so grateful to Mark for that. He is also just a delightful person to be around. He listens well and makes you feel so comfortable. Can't recommend Mark enough! Mark is an absolute gem. I've been working with him for just over a month and he has helped me incredibly. When I first started working with him I was on two crutches and could barely walk. Now I'm cruising! Highly recommend him! Mark is a super PT, highly knowledgeable and skilled, and a pleasure to deal with. He helped me recover from two injuries separated by a year: a rotator cuff (shoulder) injury he diagnosed (later confirmed by another doctor) and rehab following a fractured femur (knee) which laid me up for several months. In both cases Mark tailored programs that quickly improved my condition and I am very grateful for having been in his care. I would not hesitate to go back to him or to recommend him. Mark Lusk treated me for a few different injuries and my experience with him couldn't have been better. In one instance I had severe foot pain caused by cuboid syndrome, and in another, I had a hip injury from a fall. Mark was extremely perceptive and thoughtful during every one of my visits, identifying patterns and misalignments that only someone with an extraordinary wealth of knowledge and personal experience as a professional dancer would be able to discern. He was thoroughly focused and attentive during every office visit, and extremely clear about the home exercises and what they were meant to achieve. I saw quick improvement and ultimately overcame all my physical impairment. I highly recommend Mark. Mark was an amazing PT to work with after my knee surgery, and I would recommend him to anyone! ecovering from a fractured tibia (ski injury) last December there were many unknowns...will I get my full extension back, how bad will the scar tissue be, will I be able to ski again...Mark was with me from the start (luck of the draw). His knowledge, hands on skills and emotional support were key in my recovery. I went 3 times a week and looked forward to his 1:1 support. If I had questions outside of our sessions he was always responsive. Now, almost a year after the injury my leg is almost back to what it was. I'm at the gym doing my regular workouts and, yep, have already booked my first ski trip for the season. I may not go back on those steep slopes again but I'm looking forward to some great groomers! I look forward to every appointment with Mark since I herniated a disc in my lower back last year. Mark's strategy has helped me regain my full range of movement and I am stronger and safer today thanks to his help. Thanks! Mark Lusk is a healer! I am an actress, singer, dancer. Mark worked with me when I had problems with my knee and hamstring due to my work in a recent Broadway show. Along with his extensive knowledge, expertise and skill as a therapist, he is kind, interested and compassionate! if I ever need PT, I will always go to Mark!! He is the best!!!! Mark was a great PT, providing very personalized service and follow-up. I saw Mark after a neck injury that happened over a year ago now. No fracture but soft tissue damage that caused all sorts of hard to pin down nerve-related symptoms, from facial tingling to headaches to vertigo. I saw other PTs but kept having relapses. Mark has helped me finally recover and given me tools to fix my posture and stay healthy in the process. I've had an incredible experience working with Mark at MVMT. I have two lumbar spine injuries and a thoracic / cervical spine issue that has caused me chronic pain for the past 5 years. I began seeing Mark 3 months ago mainly for my upper back/neck/shoulder/head pain caused by the thoracic and cervical issues. I can honestly say that working with Mark has been the first time I've felt significant pain relief in those areas for 5 years! He takes the time to understand my needs, work through my muscle pain via massage therapy (which is something I've found a lot of physical therapists won't actually take the time to do), and has a deep understanding of the human body and how even the smallest areas function. I don't know what I would do without his help. He's an amazing physical therapist and I would highly recommend him anyone in need, especially for spine related injuries! Mark was fantastic! His attention to detail, knowledge of treatment techniques, and personal approach helped me recover from a serious knee injury ahead of schedule! Mark took real, personal interest in making sure I could function even better than I had before the injury. I owe a lot to him. I had great results working with MVMT PT owner Mark Lusk after I tore my meniscus. Right after my surgery, the surgeon told me he found much more damage than indicated by the pre-op tests, and that I shouldn't expect too much. But after working with Mark twice a week, I am back at gymnastics class in less than four months, and able to tumble pain-free. Mark is an amazing physical therapist. I can't say enough good things about my experience working with him. I'm a personal trainer and an athlete and came to him because I had a hip impingement which was leaving me in severe pain and unable to walk up and down the stairs some days, let alone do my job and train. Mark immediately gave me hope that he could help me and he worked one-on-one with me two times a week for 3 months, carefully monitoring my progress and updating my exercise program each week. Within weeks Mark helped eliminate 80% of my pain and had me back in action. He never told me that I couldn't train or that I should refrain from doing the things I wanted or needed to do. Instead he helped me fully understand my injury and helped me strengthen my body. I have regained full function and mobility and with Mark's mindful care I'm stronger than before I was ever injured. I have been working with Mark Lusk since 2017 when I moved to New York as a 22 year old dancer. In my first summer I was in immense pain as I dislocated my knee and had surgery. While working with Mark, I went from not being able to walk to partaking in ballet classes within 10 weeks. I strongly believe that the work I've done at MVMT PT has strengthened and conditioned me in such a way that has changed my life for good. He has taught me SO MUCH about my body and how to take care of myself in the long run. He is patient, understanding, positive and supportive which is the most important thing to me. He ensures that I know how to make progress in my everyday life and always makes the exercises fun - relating them to my dancing background! I would recommend Mark to anyone - especially dancers, physical theater-makers, actors and sports people who use their body to make a living. Mark has great empathy and will become your partner in looking after your health. We're happy to speak with new and potential patients to learn about your challenges and needs. New patients may reach us at (646) 430-5717 to learn about options for starting therapy. The official journey begins with an 1 hour Initial Evaluation. Visit www.mvmtpt.com/services to learn more. Beyond the Doctor of Physical Therapy degree, we are a Certified Functional Manual Therapist (CFMT) and a Board Certified Orthopedic Specialist (OCS). Also earned: FMS, SFMA, MovNat, Rock Tape, CPR. Yes - please contact us for current rates. My career as a physical therapist started with my first career as a professional dancer. I required PT a number of times in my career, so it was a natural progression for me. We work with all types of patients - young and seasoned, movement naive and Urban Athlete. Our patients are weekend warriors, desk jockeys, performing artists. We treat just about everything in the body, from acute injury, chronic conditions, and post-surgical. Wondering if we work with your injury? Please contact us at (646) 430-5717 or [email protected] to inquire. If you're looking for a physical therapist, it's important that you have a good understanding of the PT's experience, and what your sessions will look like.